OUR PRICE: $25.00 - Join Rewards Get $1 Dance Dollars On This Item! 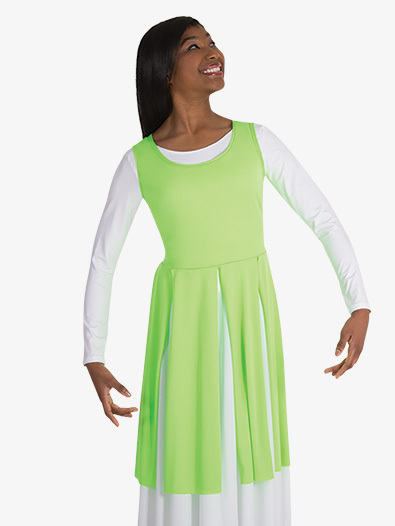 Grace the stage in a garment of praise, in this lovely paneled tunic. Tunic comes in an array of colors that compliment any leotard and palazzo pants, or jumpsuit.